These contacts have been frozen for years. 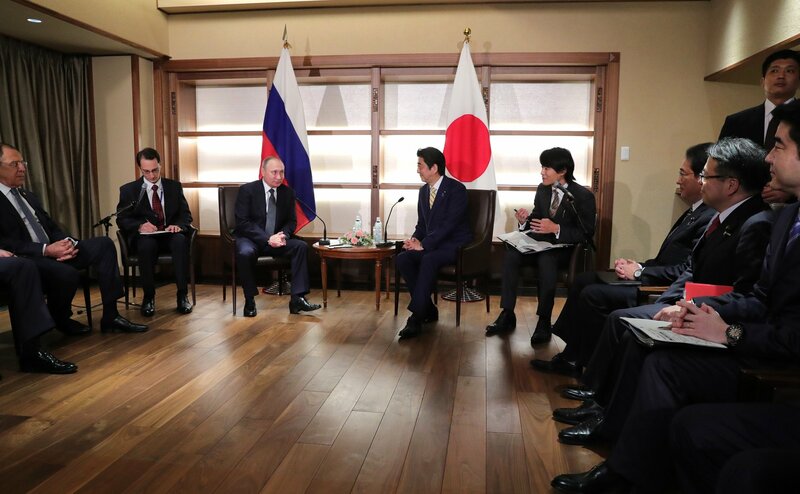 Russian President Vladimir Putin and Japanese Prime Minister Shinzo Abe have agreed it is necessary to resume contacts between the two countries that have remained frozen over years, including "2+2" contacts between the Russian and Japanese military officials and diplomats (Defense Ministry and Foreign Ministry representatives on both sides), Russian Foreign Minister Sergey Lavrov told the media. "Today it was agreed that other mechanisms of our bilateral dialog that remained stalled over the past few years must be activated. This applies to two-plus-two contacts between the diplomats and military," Lavrov said. As he dwelt on the previous record of "two-plus-two" contacts, Lavrov recalled that he and Defense Minister Sergey Shoigu had only a couple of meetings with their Japanese counterparts. "This format was then suspended," he said. "President Putin has suggested resuming this procedure, just as regular meetings between the chiefs of general staffs. The Japanese prime minister’s response was positive. I do hope that such a decision will be made at a certain point," Lavrov said. Japan is a non-permanent member of the UN Security Council and this created more room for joint action. Lavrov said that Moscow-Tokyo cooperation in the UN Security Council was not bad, although they voted differently sometimes. There exists a mechanism of consultations and "on all occasions our Japanese counterparts explain their approaches, listen attentively and try to accommodate our stance." Lavrov thanked Japan for its support for a number of Russian initiatives in the UN Security Council, including those concerning international information security, confidence-building measures in space and other issues on the agenda of the UN General Assembly.